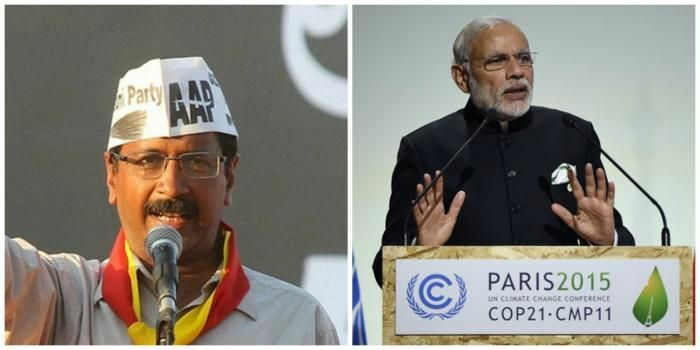 Home » national news » Arvind Kejriwal has a question for PM Modi: How does he manage with his meagre salary? The Delhi Assembly gifted itself a salary hike of 400 per cent on 3 December amid protests from the BJP and the Congress. Not surprisingly, Chief Minister Arvind Kerjwal remains unaffected by all the flak directed towards him as it came to light that his salary will surpass even that of Prime Minister Narendra Modi, if the Bill is approved. The CM, in fact, had some interesting observations about the PM\'s salary. Plus, he actually had some practical reasons justifying the pay hike. Read on to find out. Delhi Chief Minister Arvind Kejriwal is facing criticism from the Opposition for passing a Bill that will quadruple state MLAs salaries. Read More: Should Delhi MLAs earn as much as other professionals? One of the reasons Delhi government's move is drawing flak is that if implemented, Kejriwal's pay packet will be higher than that of the country's chief executive officer or the Prime Minister. As per the proposed Bill, Kejiwal will draw a salary of over Rs 2 lakh while the Prime Minister's current salary stands at Rs 1.6 lakh. Clearly, it will be rather strange for the CM to earn more than the PM! And Kejriwal agrees. In his usual candid manner, he told the media that if that is the case, then even the Prime Minister should ask for a pay hike. He further mocked the salary drawn by the Prime Minister by saying that he would be in for embarrassment if US President Barack Obama came to know about it. He wondered how Prime Minister Narendra Modi covered all his expenses in such a meagre salary. "They are saying that after this Bill, my salary will be more than that of the Prime Minister. If this is true, it's very unfair. He should get a pay hike too. The question is how he is managing in such less money." Here are his other arguments defending the government's decision. A lawmaker used to get Rs 12,000 as his salary. That's even less than the minimum wage of a skilled labourer. Of the Rs 1 lakh that the MLA gets, he takes home just Rs 50,000. The rest of the money is constituency allowance. There are additional allowances meant for staff salary and fuel expenses. He added that AAP lawmakers were not making money through corruption. AAP lawmakers, who constitute 67 of the 70 members in Delhi Assembly have been demanding a pay hike since July this year. The AAP government passed the Bill amidst opposition from the BJP and the Congress. Congress leader Ajay Maken took to Twitter to give a breakdown of the proposed salary. The Delhi Assembly had on Thursday cleared a Bill providing for a hefty hike in salaries of MLAs and ministers. As per its provision, the basic salary of legislators will rise from the current Rs 12,000 to Rs 50,000 and their overall monthly package will be around Rs 2.1 lakh as against the Rs 88,000 at present. The Bill has to be cleared by the Home Ministry and the President.